When we're on safari, just like in life, not everything goes according to plan. We had just shot the dawn overlooking the town of Bontoc, before heading off to the Maligcong rice terraces in the Mountain Province. But the sun was pretty high by the time we started our mountain trek. 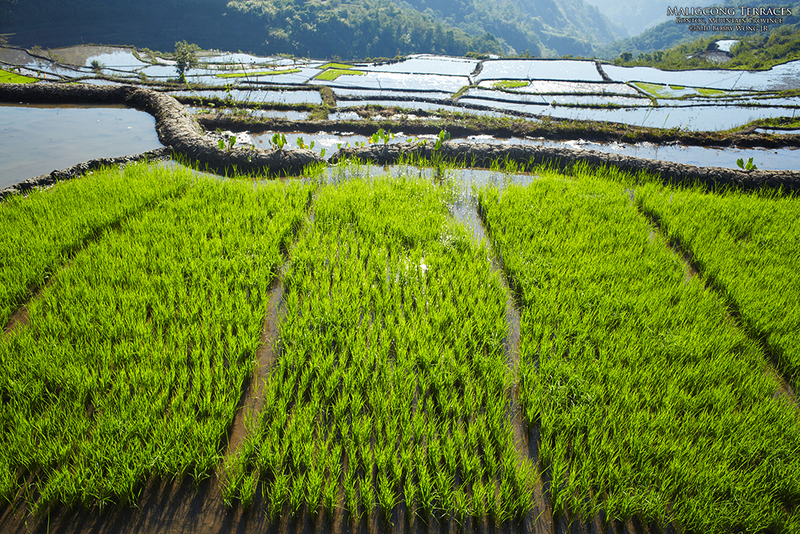 Water-laden rice fields have their promise, but seldom in this harsh light. Aimlessly wandering the earthen dikes, it was apparent we had missed the right time to be there. Had we been there earlier, we would have had a chance to catch the early glows of a mountain dawn sky. And if that sky had been tinged with even just a smattering of orange, so would the water in the rice fields below. And if there was even just a crimson cloud or two passing by, that too would be immortalized in the water, a sight that would truly make twilight photographers believe in God! Except that today, that scene was only in our dreams. We missed it. Sigh. But you win some, and you lose some. And when you have to lose, you need to pick yourself up, mindful of the valuable lessons in defeat, so that next time you might just end up on your feet. Enjoy.